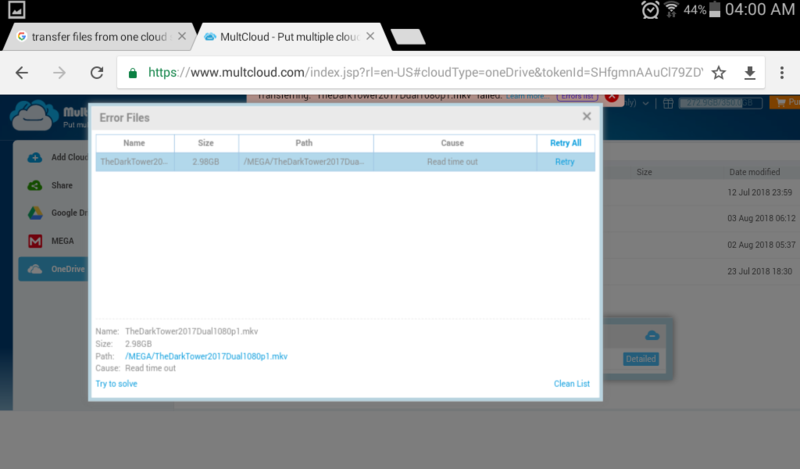 I try many time to transfer my file in baidu cloud to other cloud like onedrive or google drvie,none is success. 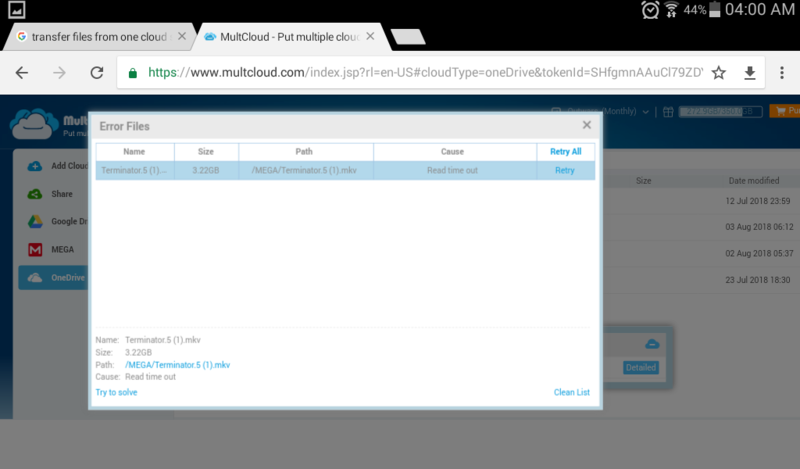 Below is one kind of errors,It seems that the baidu cloud is no very stable for multcloud to access. 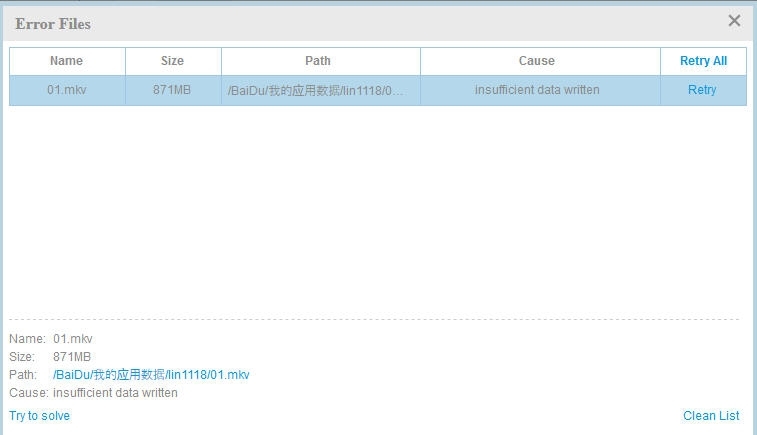 Please help to fixed this issue asap as the baidu has a large amount of users in China,and it will help multcloud to attract them if the transfer services is stable and avaiable. Just copy 1 file only but 0% transfer, not moving at all and been trying for many days. Remove task & retry several time gave same result. So many complaints regard baidu, admin please do something about it & not just tell us to cancel & retry. For this problem, sorry for the inconvenience caused and we will try our best to analyze it and resolve it. 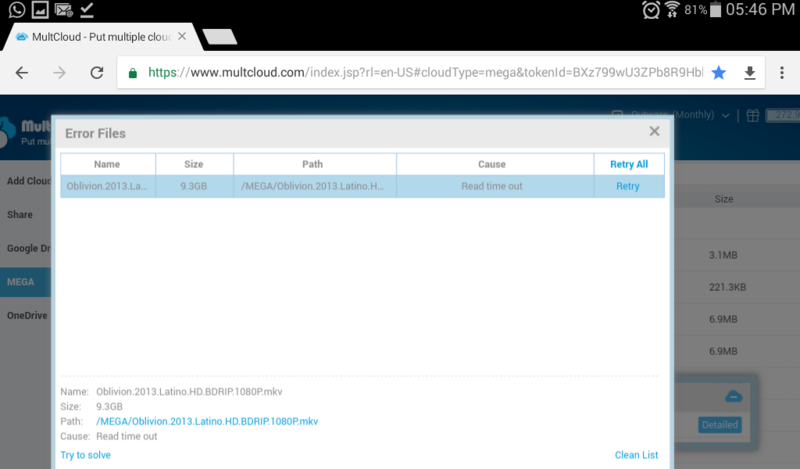 @Outwars please email us with your MultCloud account so we can analyze it. Is anything being done to resolve this situation? Or require us to email 1 by 1 for u to analyze each account?! Still can't transfer file from baidu, I've enough disk space in both baidu pan & google drive. 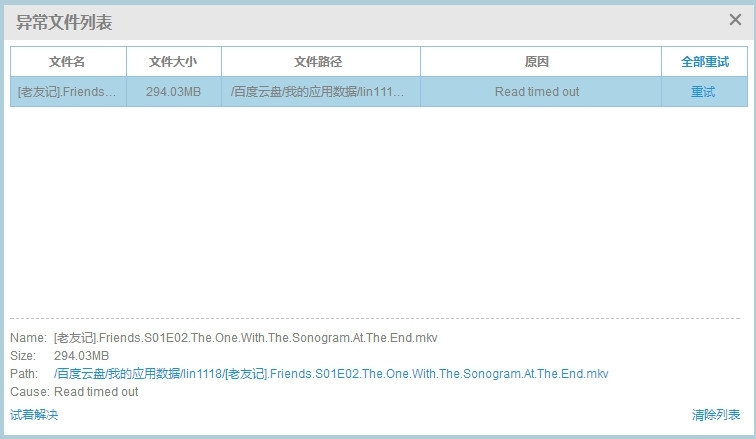 Same problem here, I don't think the problem is with multcloud, I'm in china and if I try to download a file from an external ip outside mainland china the download never starts, and if I try to download with an chinese ip it starts, but the speed is incredibly slow with multiple interruptions, so the file can't be downloaded. The only way I have to download files from pan.baidu is through their app and is really slow if you don't pay from they premium account. Worst cloud server provider ever. Have no problems to upload files, but when you want to download them they kind of force you to go premium if you want the files back. 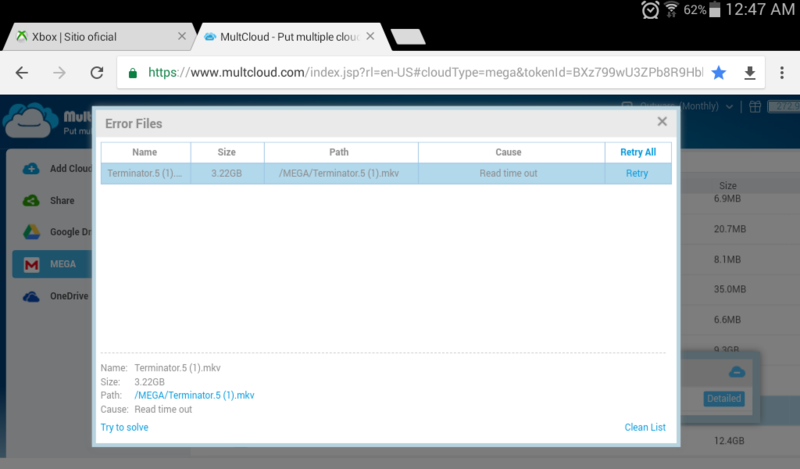 Understand that downloading from pan.baidu is a pain in the neck that's why we turn to multcloud hoping for a solution. I even consider to upgrade if it can really solve the problem but the result here is disappointing. @Wachimiro, yes, you are right and the developer who is in charge of Baibu pan told me the same thing and you know Baidu pan is not developed by MultCloud and each time we need to send requests to Baidu server to read and download files from their server so we can upload them to target cloud but if its API limit third-party service like MultCloud, then it's a little bit hard for us to resolve it. Thanks for your understanding.